SELLER WILL PAY 12 MONTHS OF HOA AND REGIME FEES WITH ACCEPTABLE OFFER. 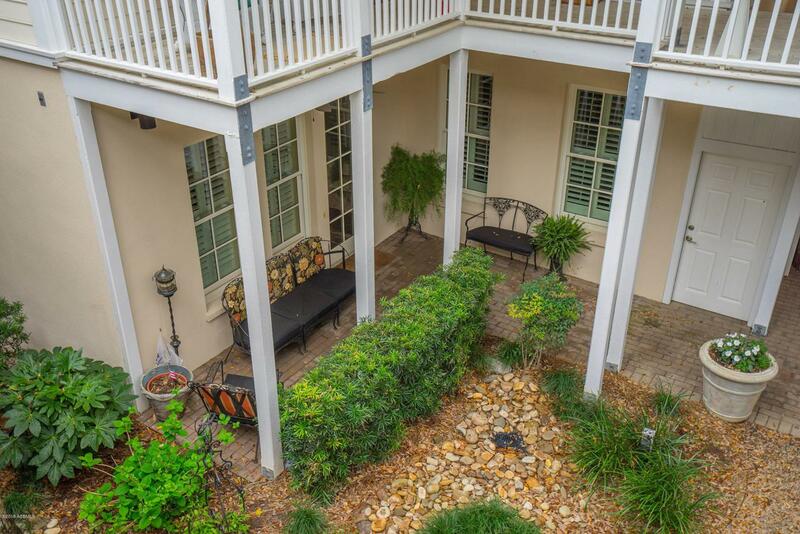 Lady's Island luxury condominium in the stunning Celadon community. 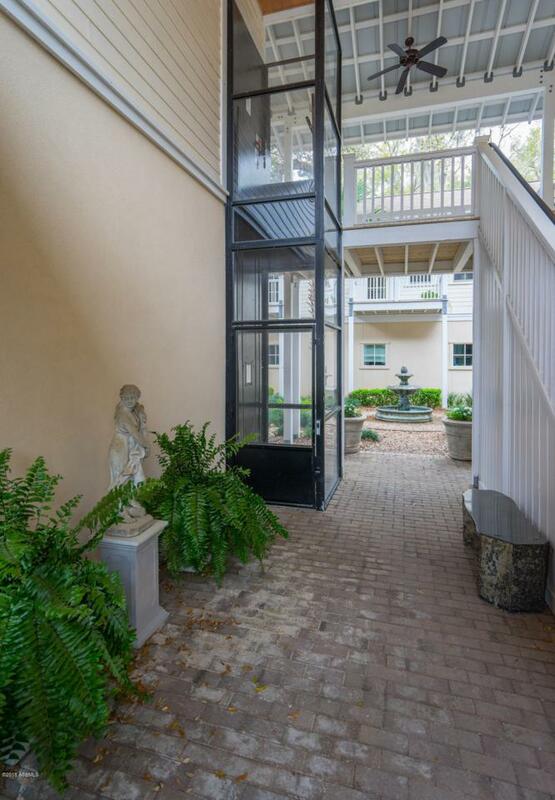 This ground floor unit features 1380sf in the main house with 2BR/2BA and 544sf in the 1BR/1BA rentable carriage house. Elegantly appointed with high ceilings, deep crown moulding, hardwood flooring throughout living, bedrooms and carriage house, plantation shutters and upscale kitchen and baths. 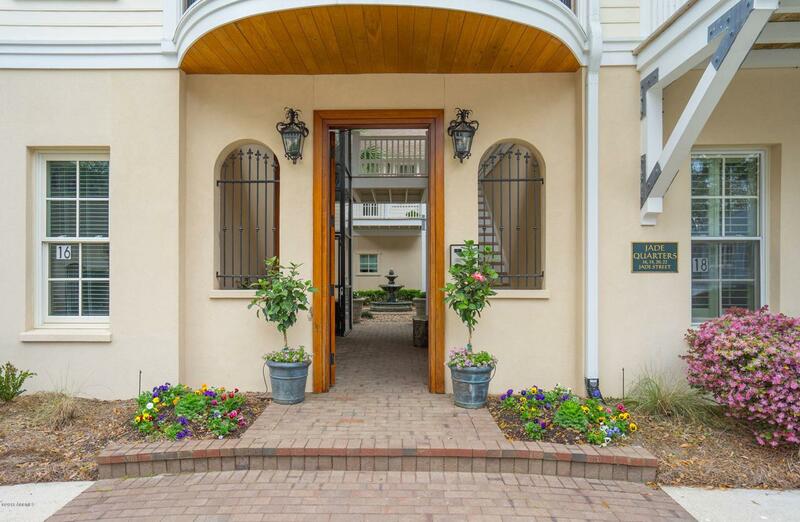 The Jade Quarters brick-lined entry and shared courtyard is impressive and inviting with lush landscaping, a central fountain and glass elevator serving the upper floor. The main house is all on one level and connects to the garage and carriage house by covered walkway. 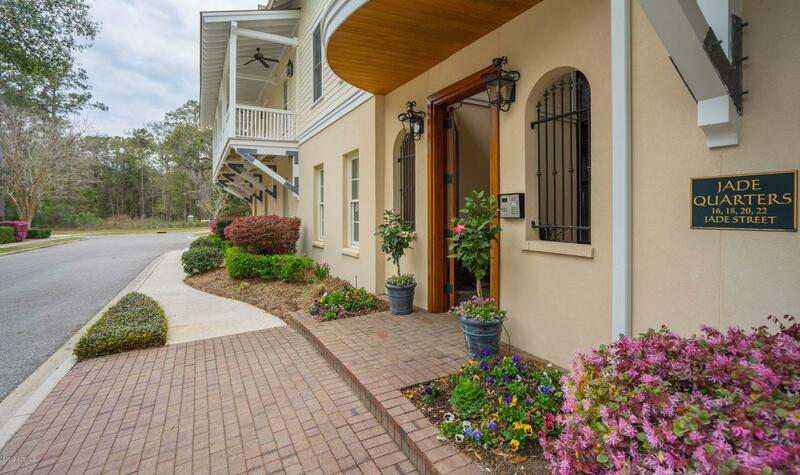 A lovely, low-maintenance, Lowcountry lifestyle. See Supplement for more information.The Celadon HOA fee of $2200/annually provides access a state-of-the-art fitness center with steam baths & spa (reduced rates for homeowners for spa services), Jr. Olympic swimming pool, tennis courts, concierge services while away, garden plot, fishing ponds, nature trail and park. Visit Celdaon's website at http://www.celadonliving.com/ for more information on this innovative and beautiful community. Jade Quarters condominium regime fee of $630 monthly includes the following: Wind & Hail Insurance, Fire Insurance, (Flood Insurance NOT required), all exterior maintenance, 2 annual power washings, landscaping and irrigation, exterior lighting, exterior security cameras, security telephone, pest control, garbage pick-up, pest control, weekly blowing of walkways and porches. View Description Lovely Courtyard Gardens & Fountain.